A great way to merchandise Cotton Candy. Attention-grabbing! Keeps candy free from shrinkage & spoilage. (1oz)w/lids. 1 oz. 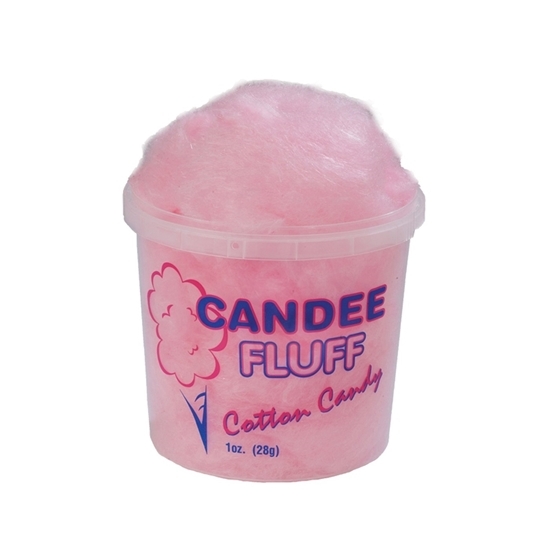 Candee Fluff containers with lids are packaged 175 per case. Airtight lid keeps cotton candy fresh for up to 4 weeks! Custom printing on containers is not available. THESE ARE THE CONTAINERS ONLY AND DO NOT COME WITH COTTON CANDY.